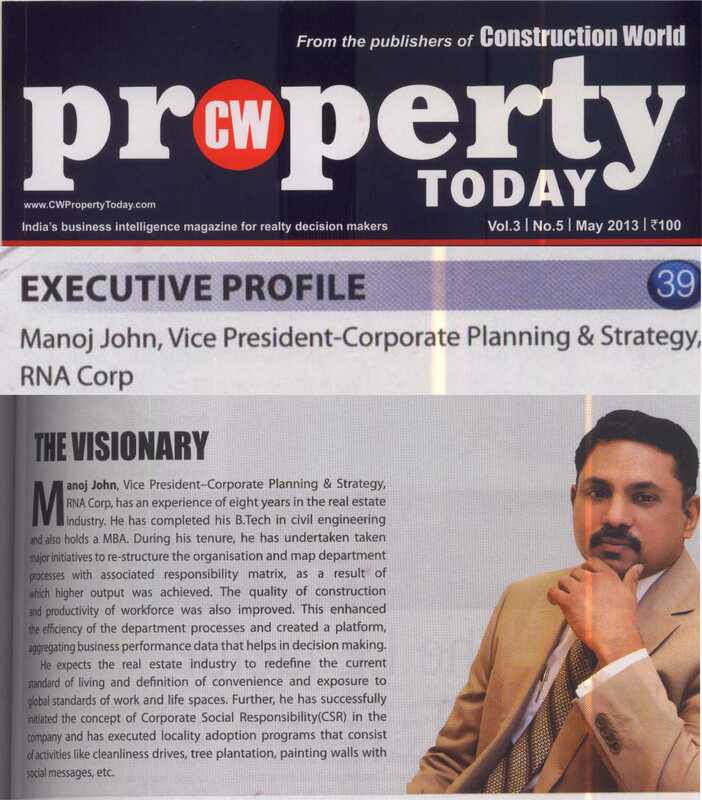 an EXECUTIVE PROFILE of Mr. Manoj John – VP: Corporate Planning & Strategy at RNA Corp in Property Today Magazine (Construction World) May 2013 Issue, Pg 39. ← RNA Corp wishes Gulab Prasad – Construction, Janki Wadekar – Finance & Accounts, Mamta Mehta – Design, Israr L Sakharkar – Billing, Sharmila Shetty – General Admin a very happy birthday…Cheers! !